Hi Curlies!In the past couple of weeks I've been so busy testing out hair products for you,and really cannot wait to share the results.A few months ago, I announced I'm an ambassador for Curls Understood,and they've partnered with Antidotestreet to provide these products for me to review which I'm so grateful for.I also wanted to mention how much I loved the packaging from Antidotestreet, the box is so damn cute! 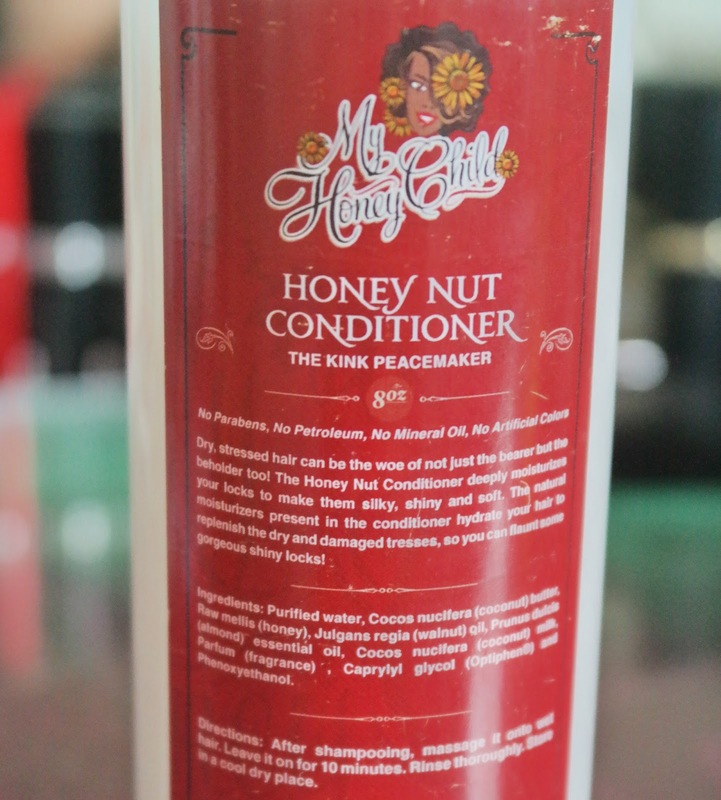 "Dry, stressed hair can be the woe of not just the bearer but the beholder too!The Honey Nut Conditoner deeply moisturises your locks to make them silky, shiny and soft.The natural moisturisers present in the conditioner hydrate your hair to replenish the dry and damaged tresses, so you can flaunt some gorgeous shiny locks!" The second time using it,I decided to leave it on my hair for 3-4 minutes to stop it from drying in my hair.It was easier to wash out and left my hair soft, but just didn't deeply moisturise my hair at all which was a shame. "Fortified and enriched with raw honey the Honey Hair Mask helps to stop breakage, strengthen hair instantly and restore shine to dull-lifeless hair.Regular use leaves hair soft, silky and healthy looking as never before.Excellent for all hair types, including natural, relaxed pressed, texturised or colour treated hair"
Despite not having great results with the conditioner, I didn't think anything less of how the deep conditioner was going to work.This is more thick compared to the conditioner and although its a honey mask, it doesn't smell like honey at all,more like cherries which is weird but smells lovely regardless.I sectioned my hair when applying this because its so thick and didn't want to overdo it.Left it on for 10minutes with a silk cap on to lock in the moisture and then continued to wash it out.This was easier to wash out and didn't leave any dry flakes in my hair.Result wise, my hair was left shiny and soft, however once my hair started to air dry my hair lost that and wasn't moisturised at all. Upon researching on there site and correct me if I'm wrong, but the conditioner is directed for 4a and above curl type, which could explain on why that didn't work so well for me.Overall result of these two products, they are just not for me or my hair type.They are not the worst nor the best either but really think they will benefit someone with tighter curls than mine. These can be purchased from Antidote Street, who I received my items from very quickly and packaged great too!